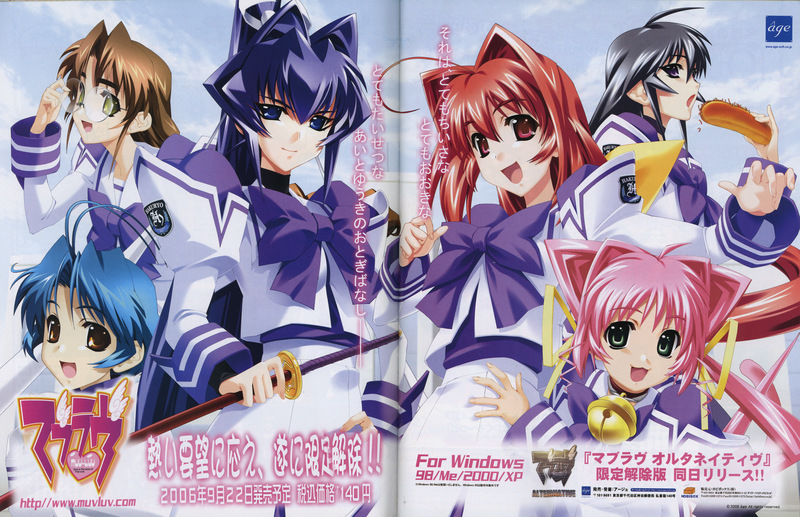 Note: Hover your mouse over each thumbnail to see my best guess as to the series/game it hails from. 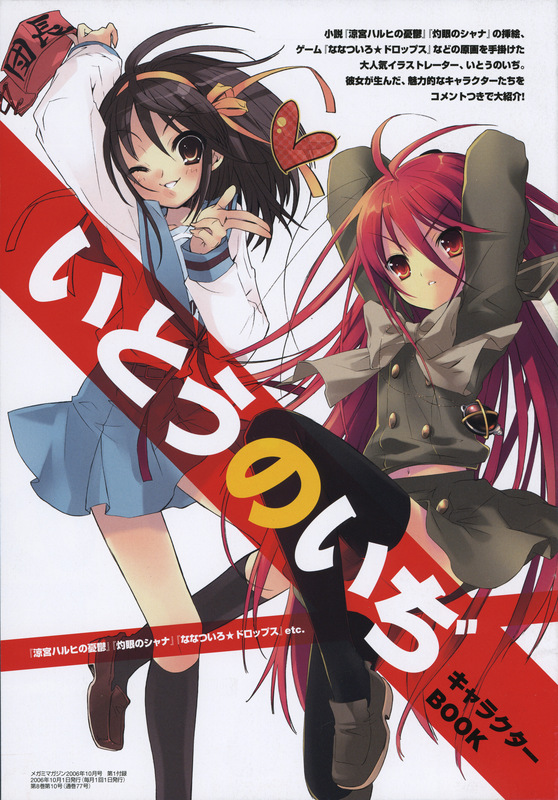 Some to most will be unknown and some of the guesses will be at best partial titles (As sometimes the Japanese will include but a little English in their series/game titles whilst leaving the remainder in kanji). 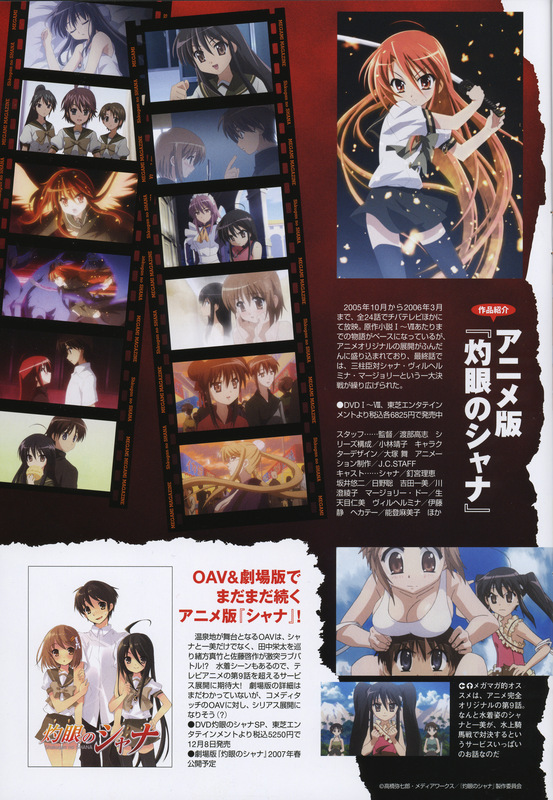 Below each thumbnail is a link or links to the larger scans describing their dimensions and file size. 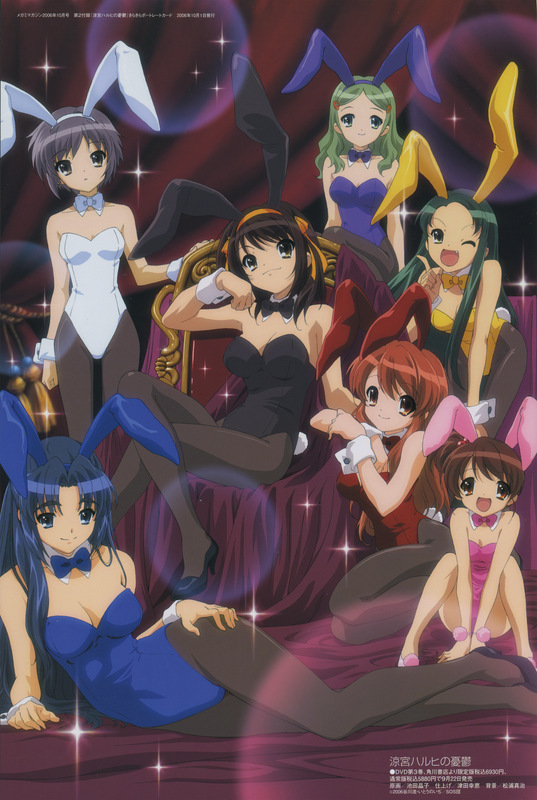 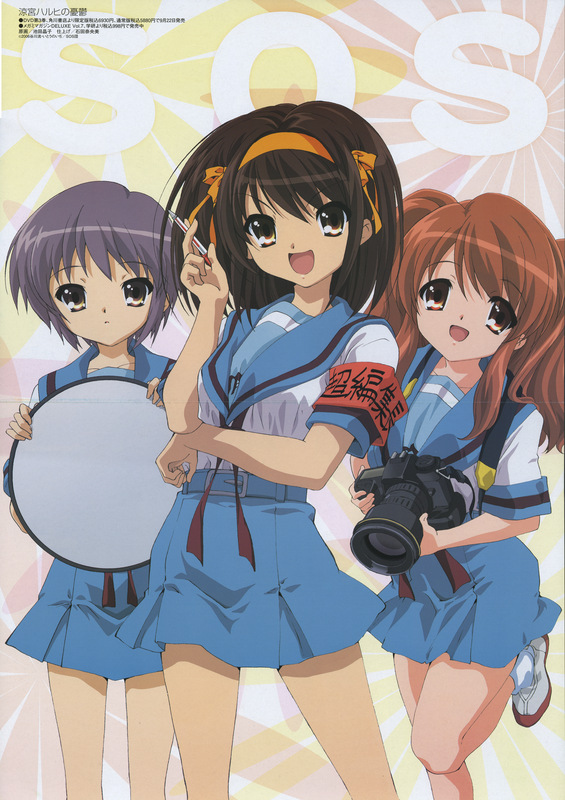 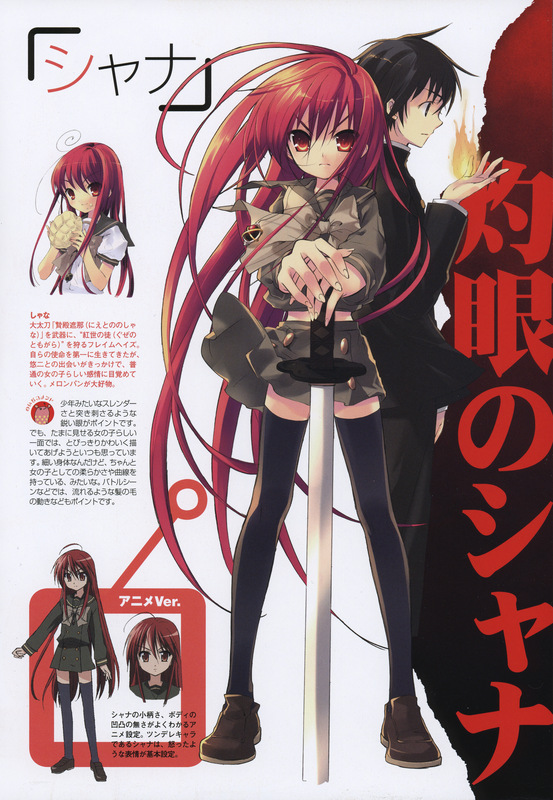 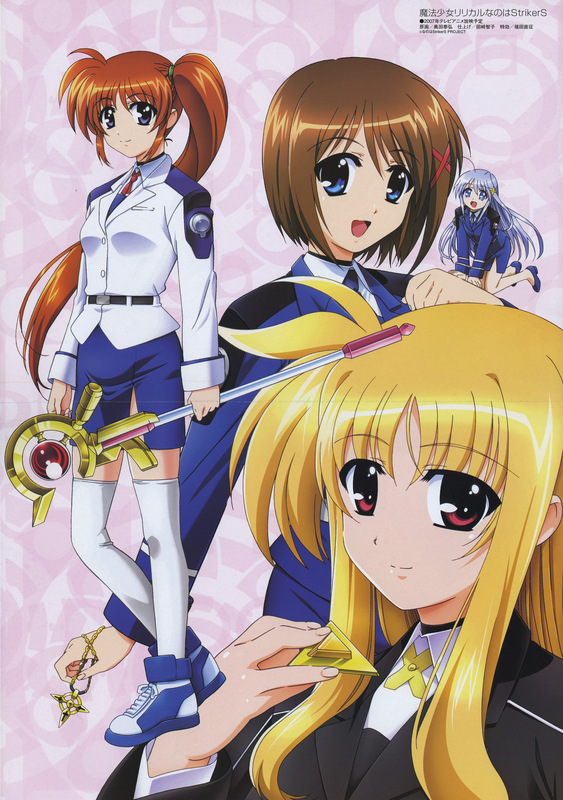 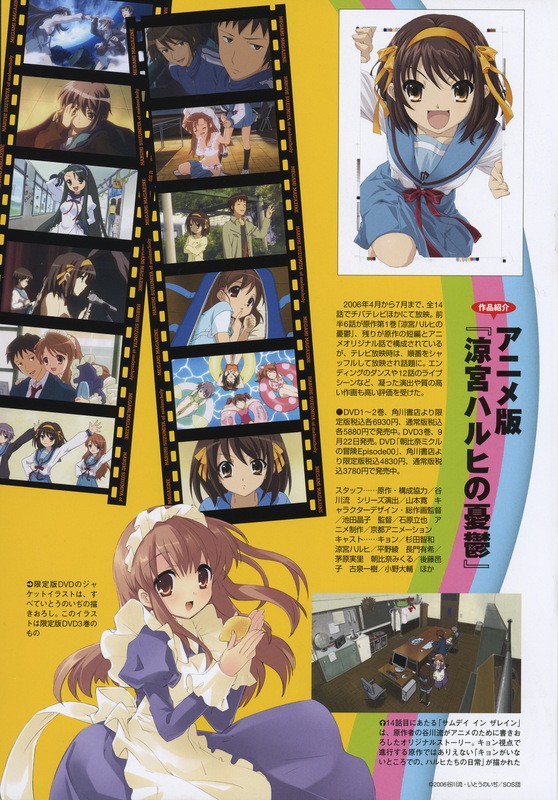 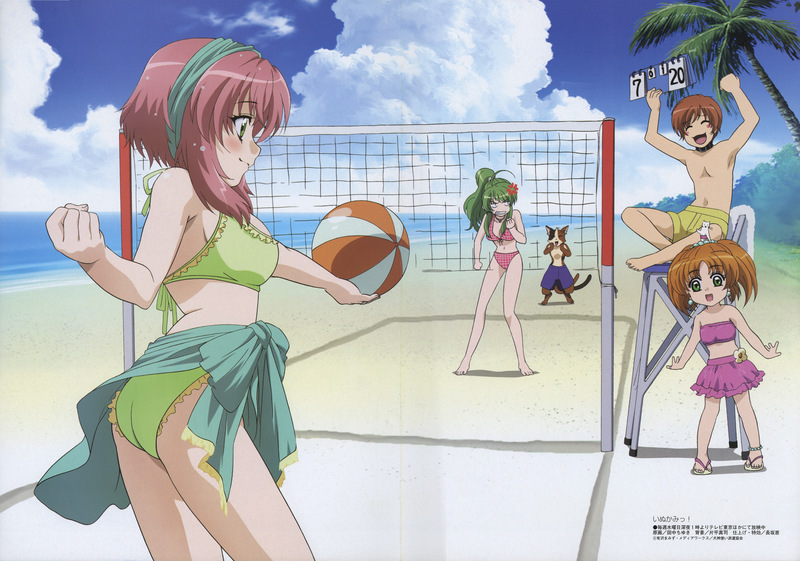 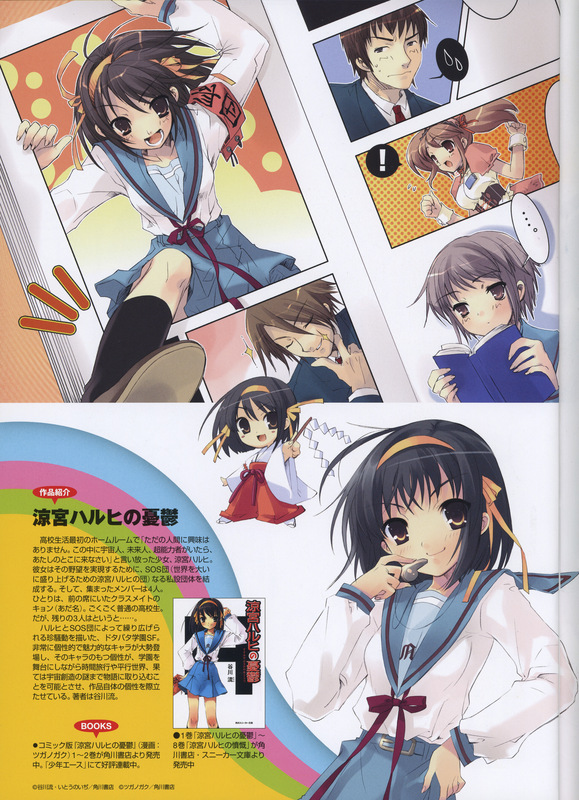 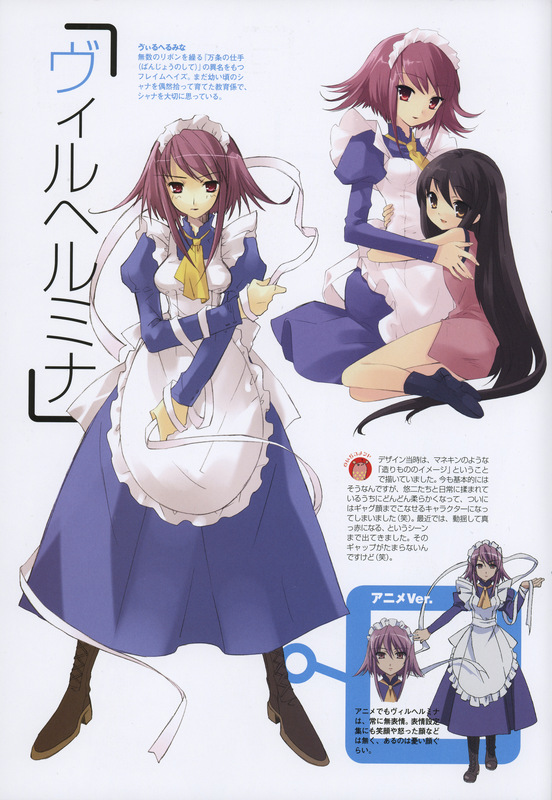 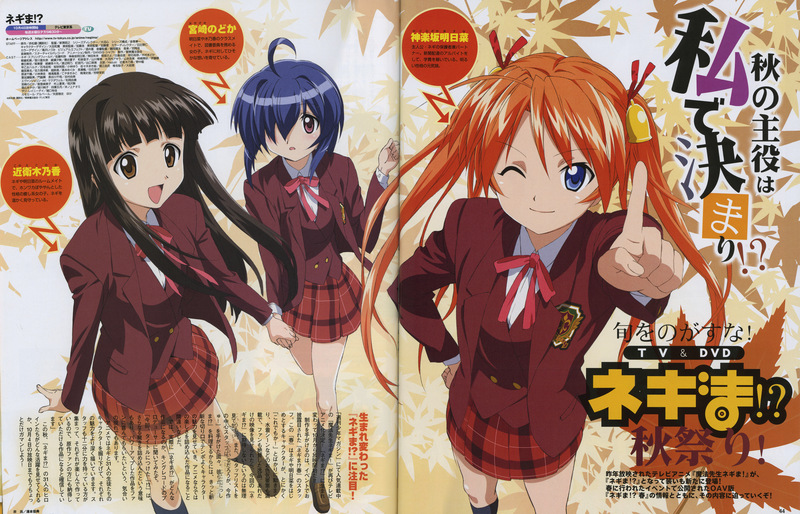 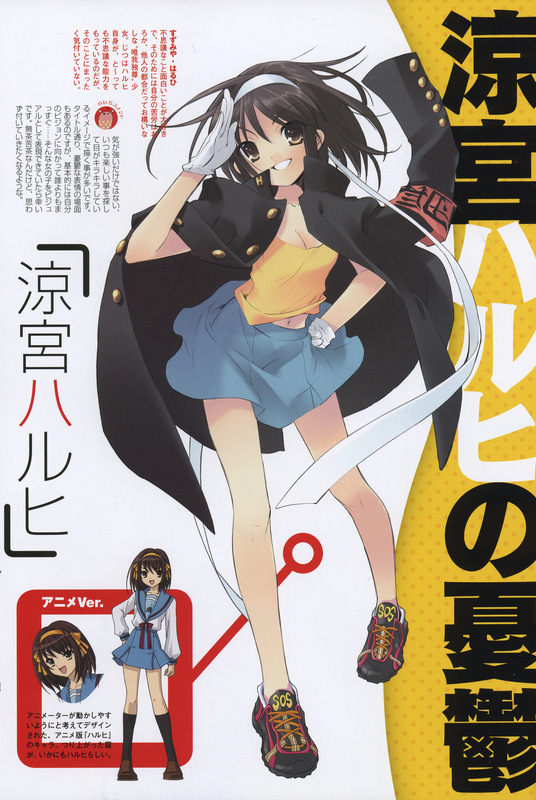 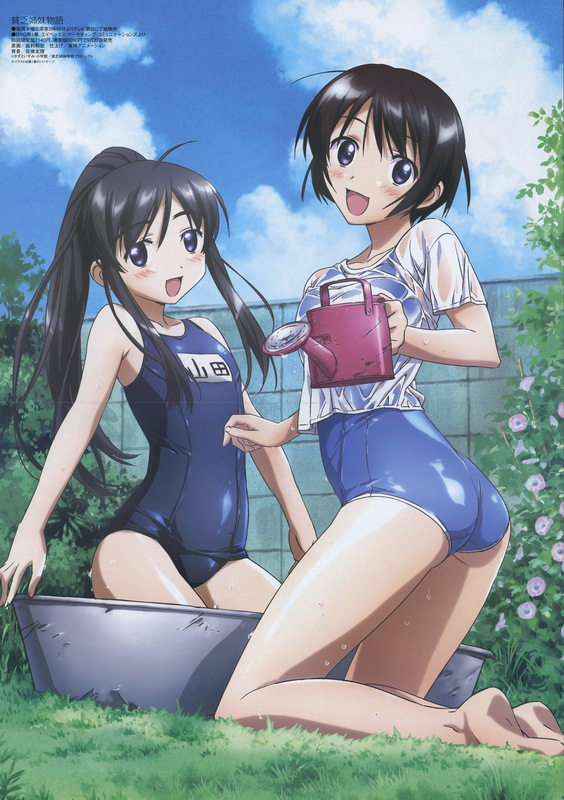 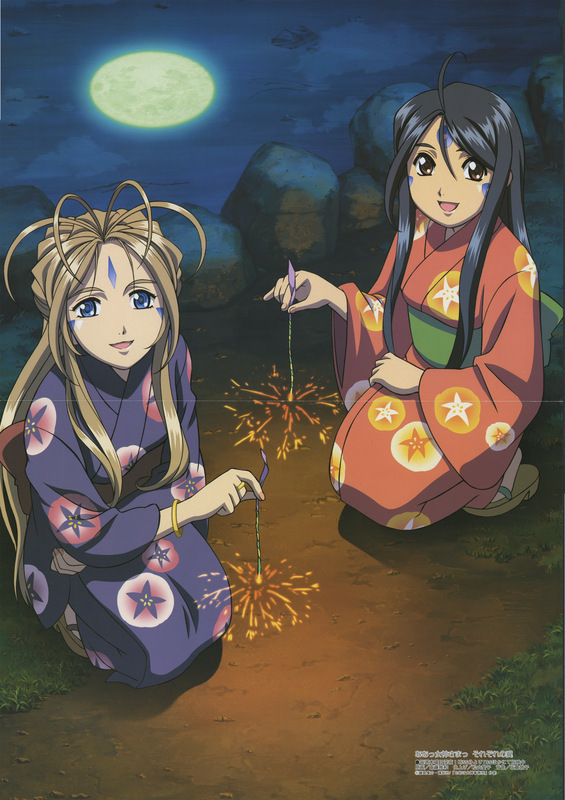 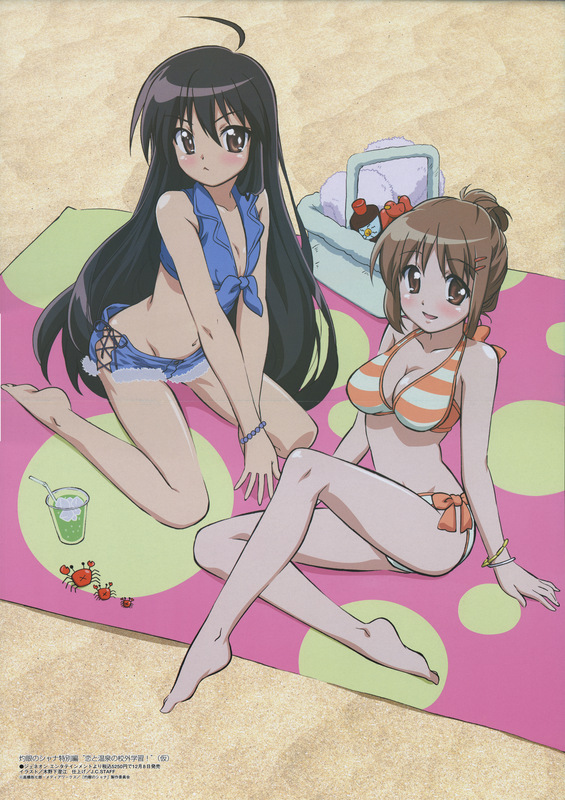 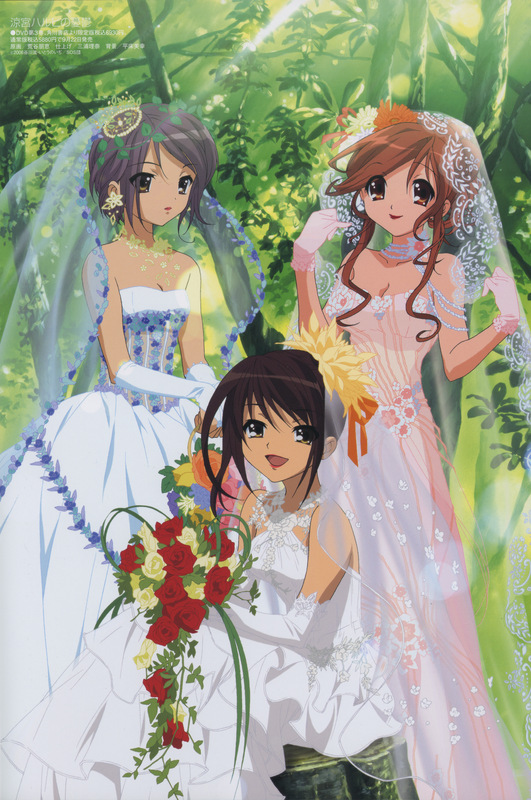 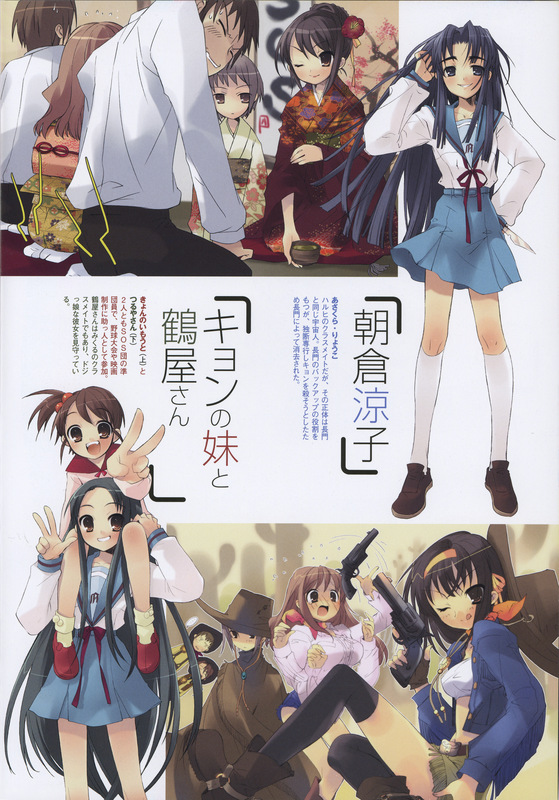 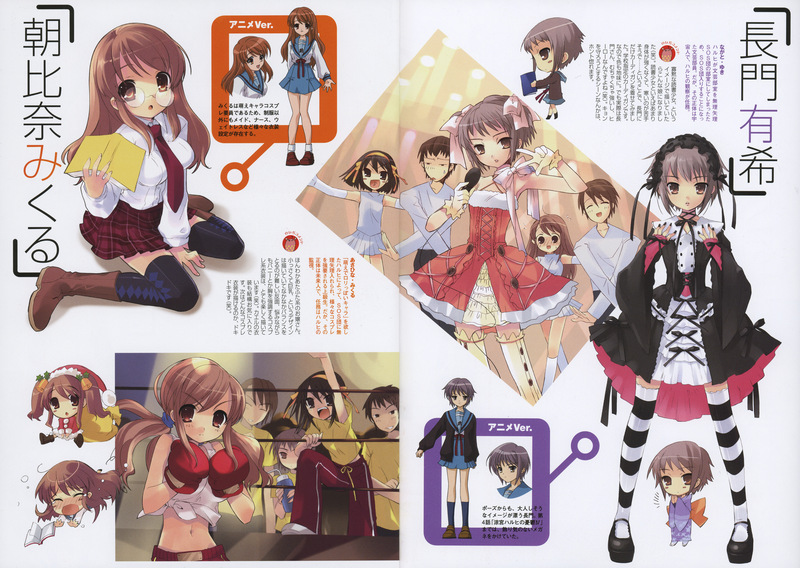 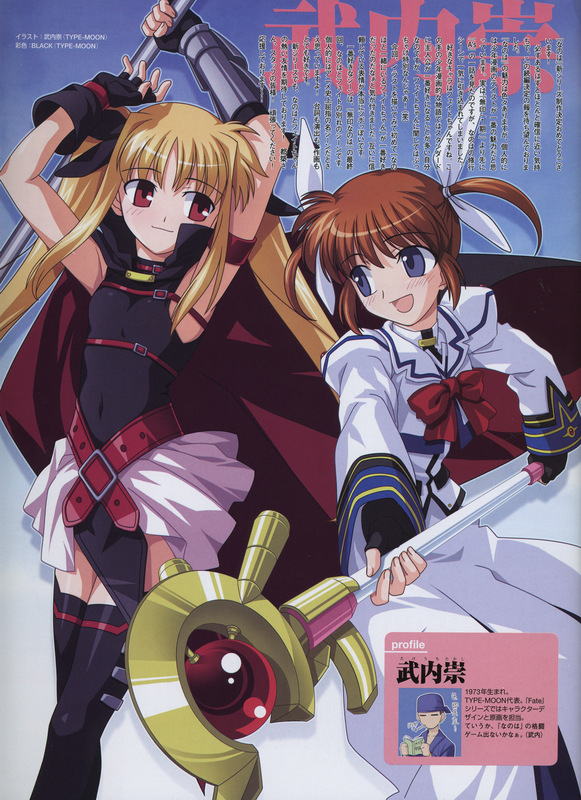 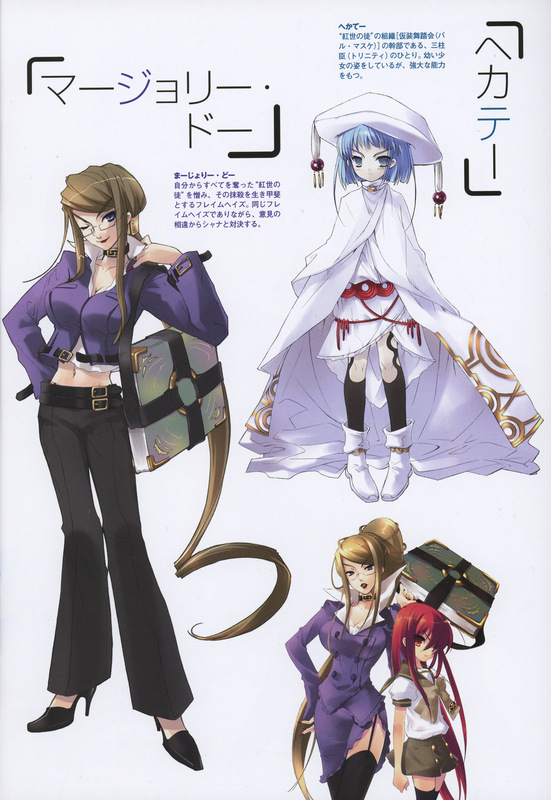 This issue came with a booklet featuring artwork by Noizi Ito from a number of series, The Melancholy of Suzumiya Haruhi prime among them, although Shakugan no Shana was also well represented. 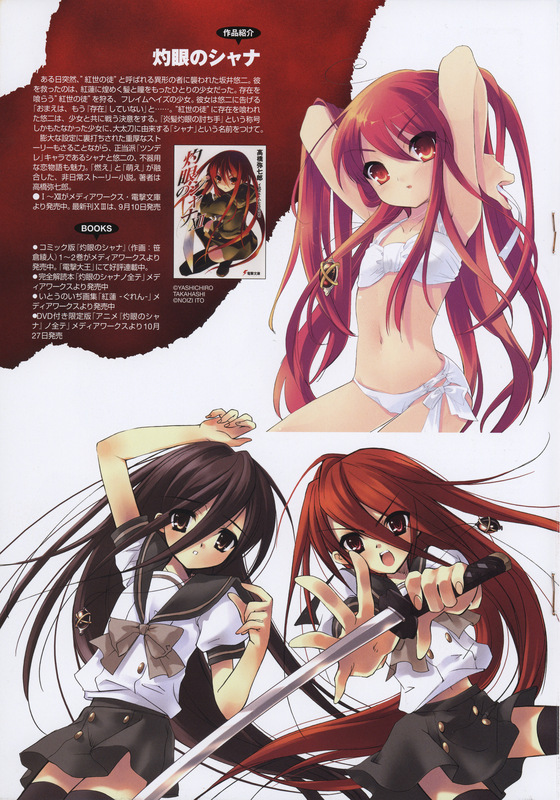 The posters of this issue, in the order they were in the magazine, save the below two. 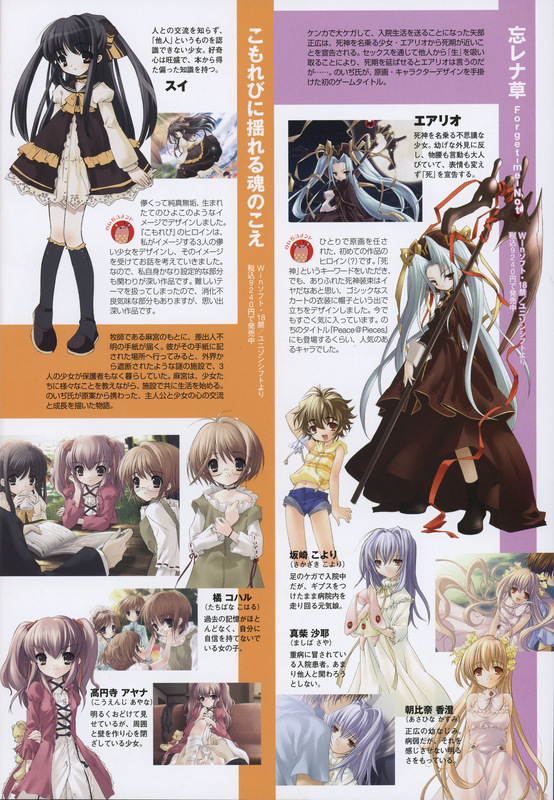 The longest poster of this issue, both sides. 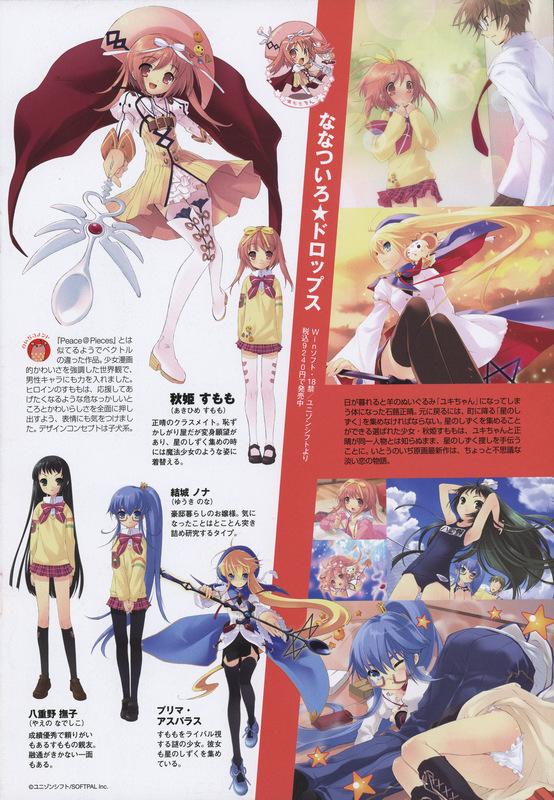 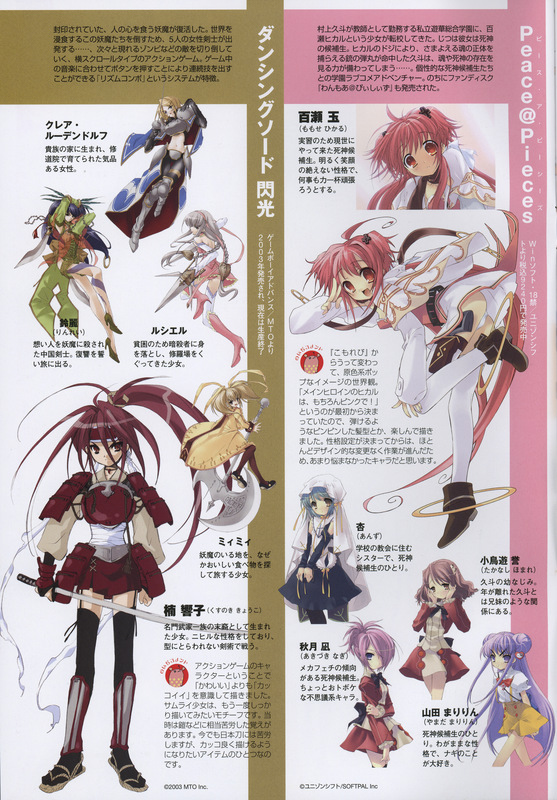 A few pages from the issue I found worth scanning, including one done by Type-Moon of Lyrical Nanoha.